strawberry lassi recipe - creamy, fruity, rose scented lassi made with yogurt, strawberries, cream and rose water. rinse, hull and roughly chop the strawberries. blend the strawberries with sugar or honey to a smooth puree. add yogurt, cream, rose water and pulse at intervals till you get a smooth, creamy lassi. 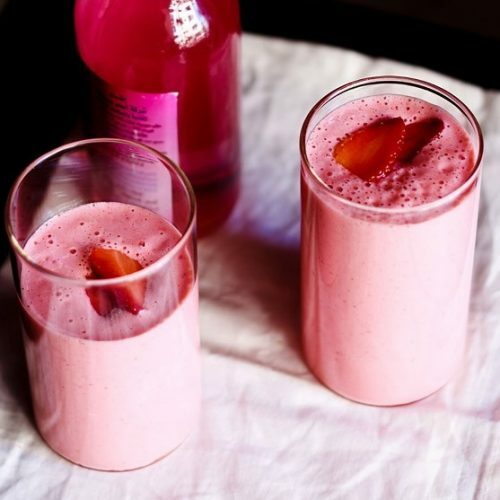 serve the strawberry lassi immediately garnished with sliced strawberries or mint leaves. you can also add some ice cubes while serving the strawberry lassi.